We have downsized and moved from a large house with a 3 car garage in Las Vegas to a condo with one parking space in Portland, OR. 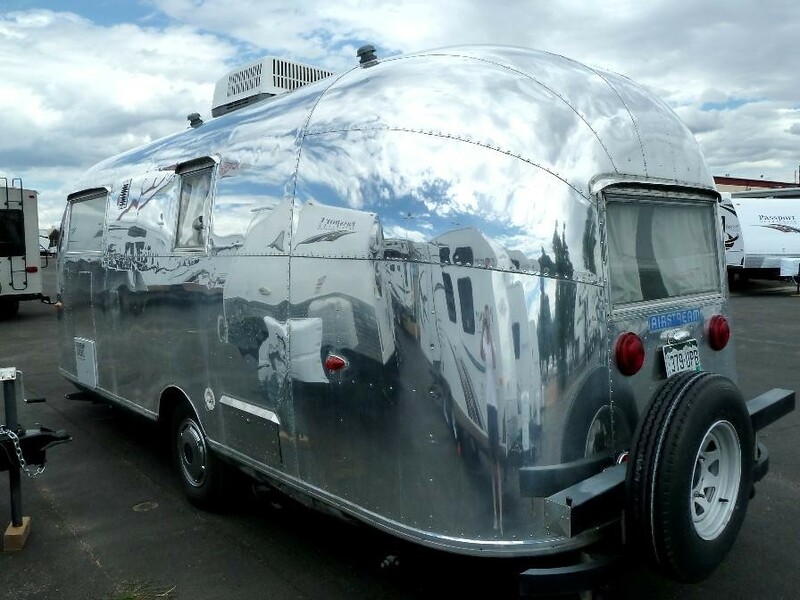 We would like to replace our 2009 Honda CR-V everyday vehicle and 2006 Sequoia SR5 4WD tow vehicle with one vehicle suitable for both towing our 2007 23' Airstream Safari SE and everyday driving around Portland. For those unfamiliar with Portland there are a lot of narrow streets with heavy traffic. The Sequoia feels ponderous and oversized on Portland streets. About a year ago we considered a VW Touareg diesel. What stopped us was the warning in the owners manual not to use a weight distributing hitch on a VW Touareg and our local Airstream dealer recommendation against using a Touareg to tow our Airstream. Although others have towed Airstreams similar to ours with a Touareg I could not bring myself to use such an expensive vehicle against the manufacturers recommendation. Another family in our condo tows a similar 2011 23' International using a BMW X5 with a turbocharged V8. I decided to look in into the X5d. Today we took a test drive and loved the X5. Handling is superb, its quiet even on Portland's roughly paved streets and highways, it has plenty of power and acceleration and it is the right size for every day driving around the Portland metropolitan area. BMW seems to have all the equipment necessary to tow including a hitch receiver, 7 pin harness, brake controller and so on for dealer installation. We were ready to go forward ordering one until I asked about a weight distributing hitch. We were told that BMW does not need a WD hitch for up trailer up to 6000 lbs. After the hitch receiver is installed the vehicle's computer is programmed that it has a hitch receiver. The X5 we are considering does not have air suspension. We were also told that the hitch receiver is attached to the bumper. So we are now reconsidering. The salesman is going to check with BMW engineering as well as with several hitch shops around town. They are also willing to bring an X5 to my Airstream so we could hitch it up without the WD hitch and see if it would work. The dealer did print up the "BMW X5 (E70) Trailer Hitch Guidelines and Cautions". The third bullet states "Do not use weight distribution equipment". My question is how should we proceed? Are there any other suggestions for a diesel powered TV that could serve both as an everyday vehicle as well? I have heard that Jeep Grand Cherokee s coming out with a diesel for 2014. We are not interested in a pickup or very large vehicles like Yukon/Tahoe, Sequoia or Expedition. We would consider a Toyota Land Cruiser but for the fact it it not available with a diesel in the US. The Grand Cherokee, either with the Pentastar V6 or the Hemi V8 are very nice tow vehicles, and available with full air suspension in the Overland models. I have the Hemi 8 and like it very much. It is rated at 7500# towing capacity. But even the 6 would have done the job, it is rated at 5000#. Both can use any WD hitch system, in fact it is required if the tongue weight is above 500#. The Diesel will be interesting but that is in the future. Hi, I would ask the dealers of VW and BMW if their tow ratings are for Caravans. The European trailers have much less tongue weight. Notice the axle location on Caravans. And they don't use WD hitches. I don't understand what the major concern is. If the manufacturer does not recommend a weight distribution hitch, maybe you just saved a ton of $$$ by not having to use one. Then again, it may have something to do with European standards for towing. You are right to be sure of what is needed by American standards and your own safety. As a new AS owner, I also did a lot of research on TV's. I like the euro SUV's--X5, Touareg/Cayenne/Q7, and the ML/GL's. All are available now with a diesel, and all are available both with & without air suspension. They all have pitch/yaw/sway/stability control and traction control built into the computer. My understanding is that the electronic controls are the reason why the manufacturers do not recommend WD hitches--they mask the symptoms normally read by the computer which causes the controls to work improperly. THey are all conservatively rated to tow between 6000-7700 lbs. I would drive each one and see which one you like best around town, then choose that one. Good luck! I guess it depends on how close to the limit you are. Cayenne/Touareg/A7 are rated for 7716lbs, so towing half that leaves plenty of margin IMHO. As you get closer to the max, however, I agree that safety dictates you may want to add some form of sway control. Just be aware that you will effectively disable any benefit of the electronic controls, and may even mask a situation that the electronic controls would otherwise be able to handle...not to mention warranty issues for newer vehicles that modify the factory hitch itself. The key part to the formula is the tongue weight... If you drop 800lbs on the rear-end, it will break. The tongue weight of my Airstream is listed as 600 lb by Airstream. But that is dry weight. By the time you add two batteries and two 7 gallon propane tanks as well as load the trailer, our actual measured tongue weight is between 780-880 lbs. I would never tow without a weight distributing hitch. The actual measured tongue weight of our Airstream is between 780-880 lbs. I would never tow without a WD hitch. I have considered Jeep Grand Cherokee several times in the last couple of years. It meets all my criteria except for having diesel engine. I might just keep the Sequoia for another year and see if Jeep does indeed come out with a diesel option. If you are willing to go for a used Jeep, they made a diesel during the Daimler-Chrysler years. The engine is basically a 6-cylinder Mercedes turbo diesel. They are rare and quite desirable, but relatively expensive for a used Jeep. 42 for sale right now nationwide on Autotrader...maybe one is near you? I checked on line rumors and apparently the Jeep Grand Cherokee diesel is slated to go on sale this January in the US. I'll check it out after the new year.